Tecnoturbines has patented an electronic control system based on regenerative braking technology that recovers energy from the reduction of excess hydraulic pressure. This, along with a hydraulic turbine, is capable of producing electrical power in a controlled manner in different modes, making the process significantly more efficient and providing it with a high capacity to adapt itself to current conditions. This reduces costs and increases efficiency. Water distribution markets need to reduce the pressure in the water supply in order to prevent breakage of the pipelines and to increase the energy efficiency of the process. They need to reduce the costs of water extraction and distribution in order to offset the increment of the electricity bills. Sites without access to the electric grid need an electric power supply for monitoring and commanding remote stations. 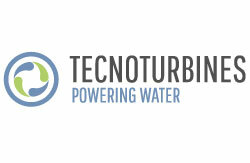 Tecnoturbines offers an electronically-controlled regenerative turbine that is able to adapt its operation to the hydraulic conditions available. This allows the production of electricity from currently unused hydraulic pressure to drop at the pressure control valves. This energy can be auto-consumed, or sold to the electricity company to generate income. The regenerative turbines provided by Tecnoturbines are extremely flexible. They can work in different control modes (maintaining pressure at inlet or outlet, regulating flow, maximising on power generation and on efficiency) so they can be integrated into complex water distribution systems. The system proves a very attractive investment for clients, with a payback of 4 – 5 years (depending on the installed power), clients receive a direct income for the remaining 20 years of product life.